The Boulder County personal injury lawyer at Cederberg Law has more than 35 years’ experience helping injured people secure the compensation they need and deserve. Results in the untimely death of a loved one. They don’t have to continue to be victims of others’ negligence. 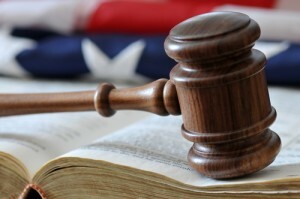 They have rights and will likely be entitled to compensation for their injuries, mental anguish, financial losses, etc. The Boulder County personal injury lawyer at the Cederberg Law is here to support them and advocate their rights to help them secure the maximum possible settlement so they can focus on their recovery and future. You will never be handed off to a paralegal or assistant. You will receive the personal attention and professional service you and your case deserve. You will have the best chances of resolving your case as efficiently and favorably as possible by working with our skilled Boulder personal injury lawyer. Help get your case started at no upfront cost to you. Having handled thousands of cases, our Boulder personal injury attorney and his legal team have a deep understanding of tort law and the legal experience necessary to hold any negligent party – whether it be an individual, a corporation, a government agency, etc. – liable for their reckless and potentially unethical behavior. This makes our trusted lawyer a formidable force that will not back down until you secure the maximum possible compensation for your expenses, injuries and losses. For a free, thorough case evaluation, call us at 303-499-0449 or email us using the form at the left-hand side of the screen.